This is fine 48gsm paper, in 38 * 46.5 cm. UPDATE: we have recently customized large size of this paper. The size is 70 * 138cm, which is equivalent to 5.5 sheets of the paper listed here. The price will be 5 times of the prices listed here accordingly. For this special supply, the minimum order is 5 sheets, which is 15.2 USD. If you need this special size paper, please kindly send us a message directly and we will file an invoice for you separately. Mulberry bark bark of Paper Mulberry tree (Broussonetia papyrifera) used to make mulberry paper such as 温州皮纸 WenZhou Pi paper, known in Sumi-e as Washi. 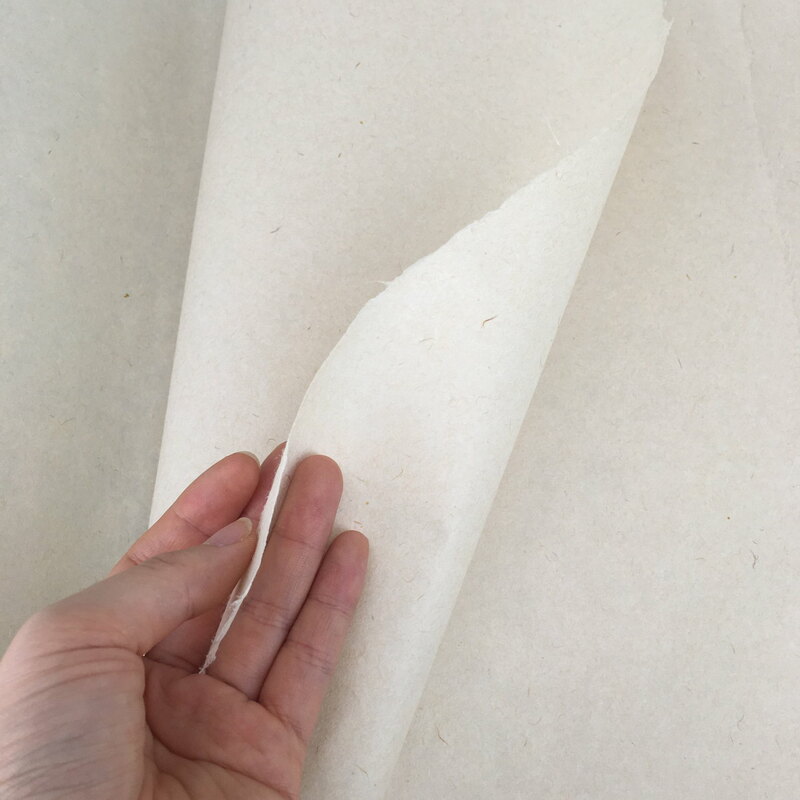 It is thicker, more durable and stronger than Pteroceltis Tatarinowii Xuan paper. 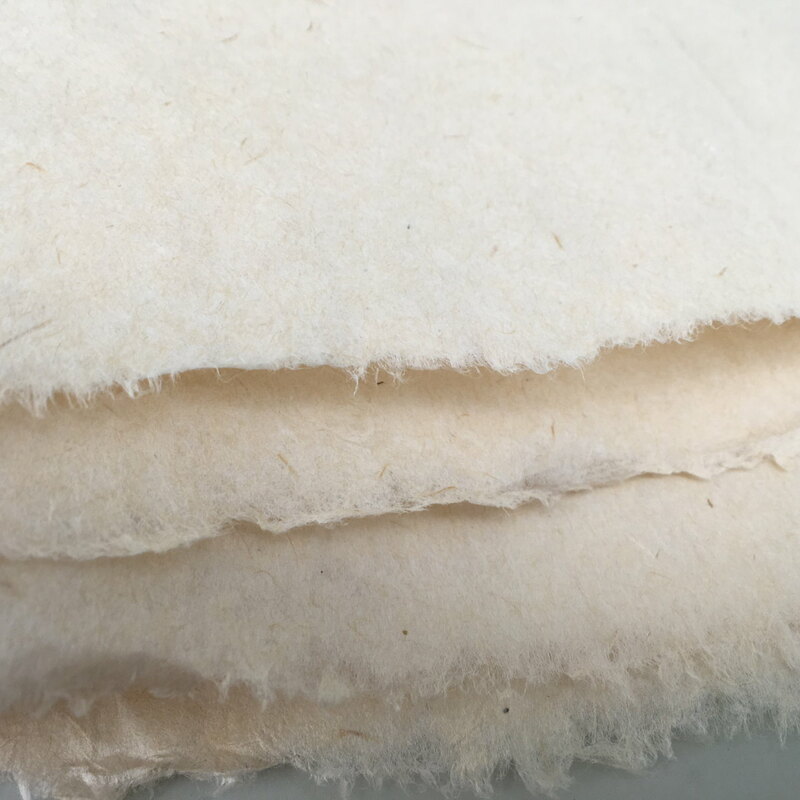 Specially handmade paper with traditional recipes from Song Dynasty. 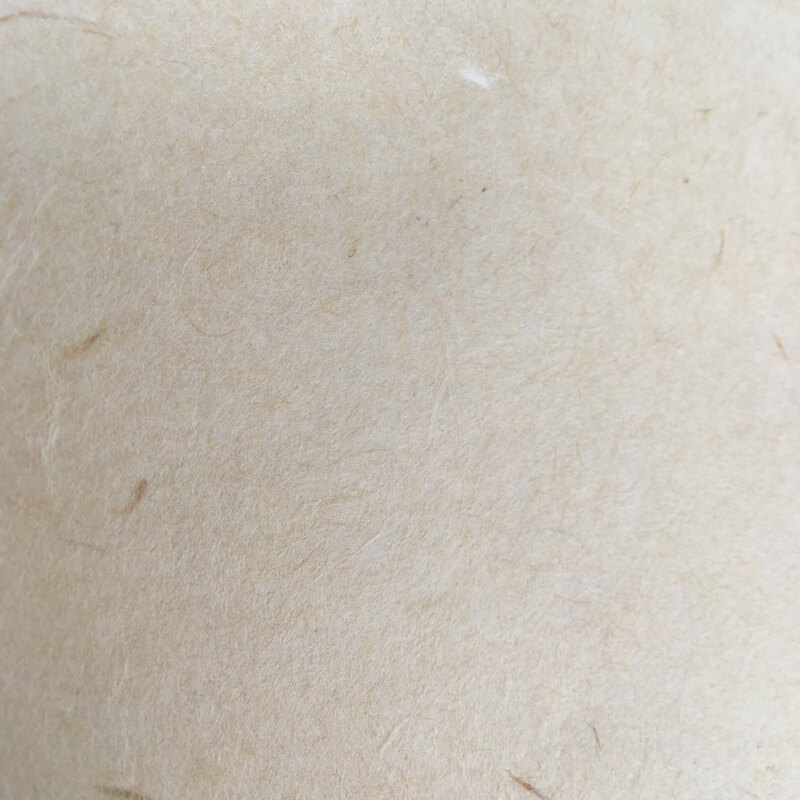 It is very similar to Japanese washi paper. 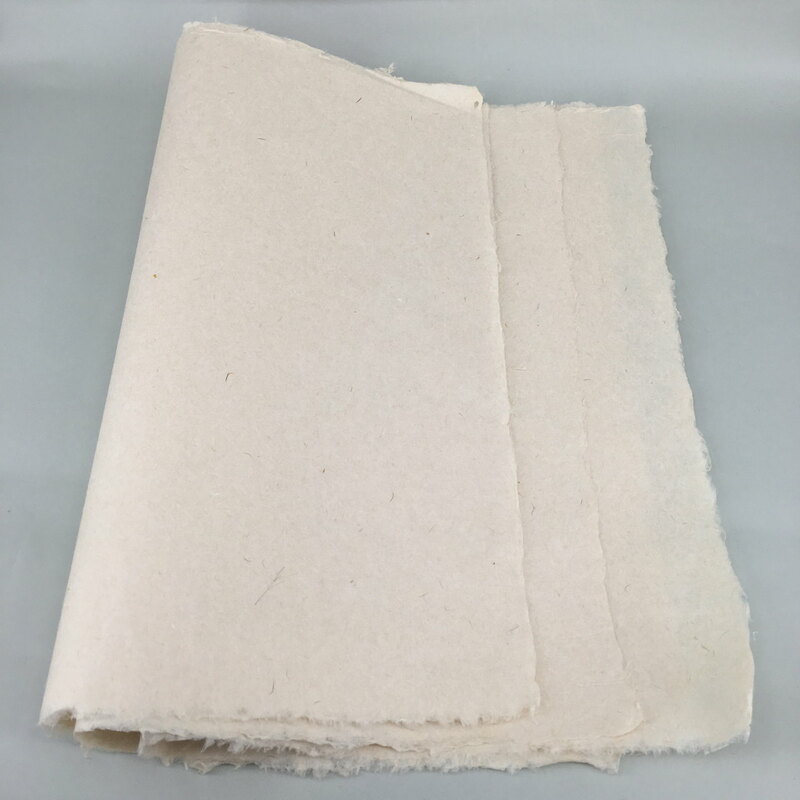 The color is light tea colour which is due to the raw materials for making this paper. Unlike other papers, this paper is 38 * 46.5 cm. The paper’s edge is not cut straight and this gives the paper a very beautiful appearance. 1er rouleau de papier reçu aujourd’hui (plus d’une semaine en avance, bravo !). Ce papier “corn silk” est magnifique et je vais le tester dès demain avec une petite calligraphie en herbe folle. The quality of this paper is also very high and it looks perfect. It is very good for pasting of the back. Although, because of the lower grammage you need to have good manipulation skills. This paper is so beautiful. I am very pleased with my order. It was shipped promptly and securely. I would buy again from this INKSTON Etsy shop. This is a very fine, exceptional paper to work with. The paper behaves in a different way from Xuan paper and is a delight to paint on. I will be buying several more rolls of this excellent, very high quality paper in future.